I have been using TweetDeck for quite sometime now, and I must admit that sometimes it is a bit of memory hogger. However, the fact that it is one of the best twitter clients available today, I continue to use it, albeit by tweaking it to use lesser memory and provide me with more functionality. 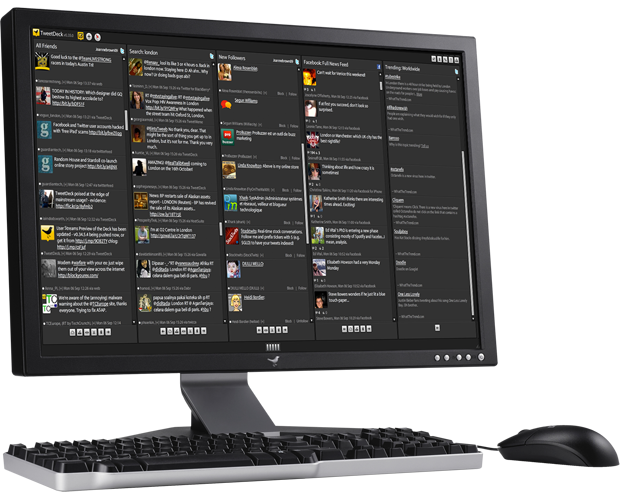 Here are some tips, tricks and use cases, which will help you out when it comes to using TweetDeck. Most of the tips are generated using TweetDeck version 0.31.1, so you might not see the options if you are using a older version. TweetDeck is the most useful application for managing Twitter that I’ve found ever. It is fully customizable – you have full control of every column, user, related tweet – this application is really time saver if you use it on regular basis. In this article I am trying to show real power of Tweetdeck, which seems to be hidden on the first moment, it is an Adobe Air-based application that runs on any platform (it requires Adobe Air 1.5 to be installed first) – at first I would suggest You also to play with settings, rollover buttons, they are often self explaining also revealing many hidden features.